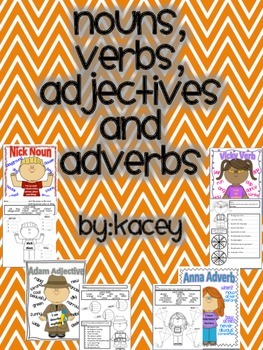 Do you need a fun way for your students to remember the parts of speech (nouns, verbs, adjectives and adverbs)? Well, introduce them to the "Grammar Family". Nick Noun is so cool he knows every person, place and thing. 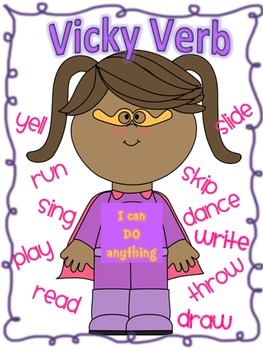 Vicky Verb can DO anything! 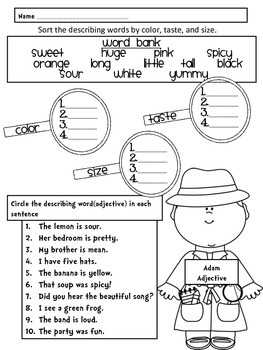 Adam Adjective can describe anything. Anna Adverb knows everyone's business. She can tell you "how", "how often", "when" and "where" something happened. 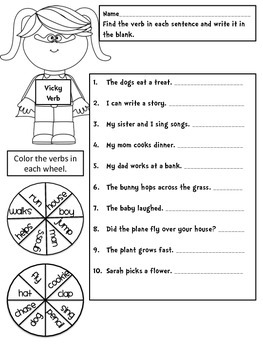 This bundle offers a colorful artifact/visual for each part of speech and a printable worksheet for assessment and/or practice.